Earth's Courier, Earth's Font | Papyrus Watch - Exposing the overuse of the Papyrus font. 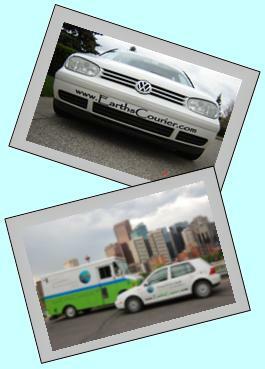 Look real close at the bumper of the VW above, www.EarthsCourier.com . Except it's not Earth's font. I don't really think Papyrus communicates earthy in that way that feels efficient enough to be "green" and modern.